Putting perfect WordPress social media follow buttons on your blog can be the first step towards prompting readers to connect with your business on various social media platforms. If you are not sure which one is good to go, here is a short guide that will help you in making the final call. Before we go into details, let’s understand the importance of WordPress social media follow buttons on your blog and where they should be placed. You can find many bloggers placing WordPress social media follow buttons in the footer area. Although there’s nothing wrong in that, you can always hope for more clicks when these buttons are placed in the sidebar or above the content. On a busy day readers may find your content intriguing and want to follow your social media page, but don’t have enough time to finish the article until the last word. 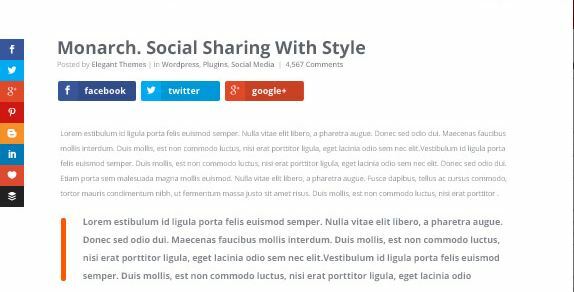 By placing WordPress social media follow buttons in the sidebar or right above the content, you can easily lure them to click. If you are generating decent revenue from your blog, you can give Monarch a try. It’s one of the most sought after social media follow & share buttons in the market. What gives it an edge over others is its elegant looks, easy configuration and responsive feature. However, if you are new to blogging, its price ($89) may seem a little too much to afford. Nonetheless, you can click here and know more about Monarch. Should you want to place a large and eye-catching social media follow button on the sidebar of your blog hoping that they will lead to better user engagement, WP Flat Social Profile Blocks can be an ideal option for you. Considering the reviews of other experts, its price ($14) is worth the investment. Finally, a free plug-in that delivers great results. If you don’t want to spend any money on social media follow plugins, you can go for WP MashSocial Widget. At zero cost, you can hardly find a better plug-in than WP MashSocial. Download it from here. Many social media follow and share widgets give the option to show total likes/followers of your business page on Facebook, Linked In, Google Plus and Twitter. Unless you have a minimum of few hundred likes/followers, don’t switch on this feature. Additionally, go for the social media follow buttons that let the users take action within the blog itself i.e. don’t redirect to the social media page. I found these buttons good enough to start with. You can share your feedback, opinion or suggestion about these plug-ins. 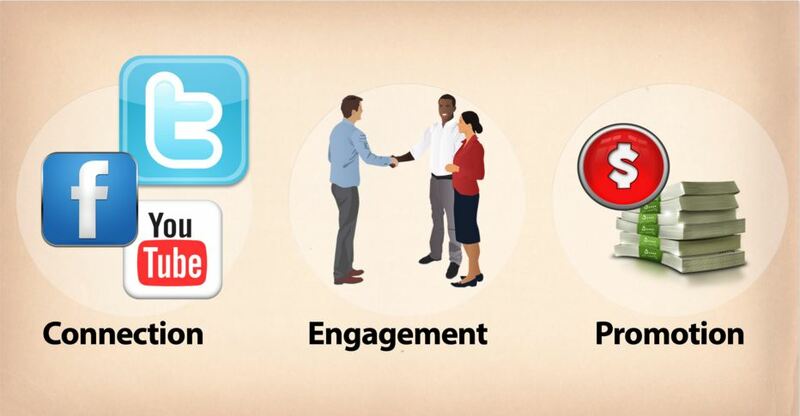 Which social media follow buttons do you use? Which plugin are your using for the social sharing buttons in the right sidebar widget? 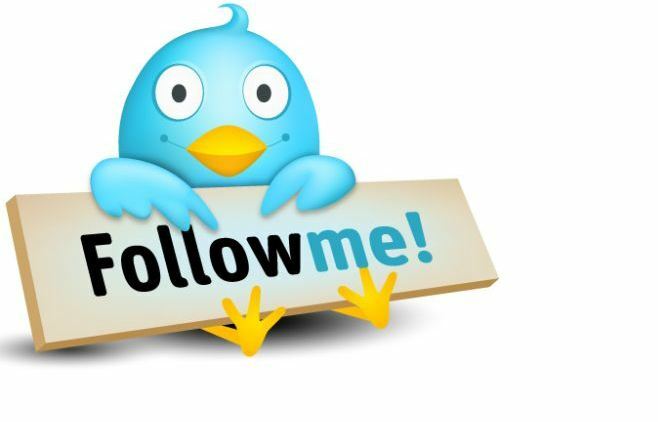 In the right side bar I am using Follow Us Badges By https://www.99robots.com. For social media sharing, I am using Publicize by Jetpack(http://jetpack.me/support/publicize/). They are easy to configure and perform relatively well. Nice overview of the best WordPress social media follow buttons, thanks for that. I found some new useful tools like Monarch, to optimize my social traffic. It’s also a tool for social media sharing, but have you heard of Blog2Social? I would strongly recommend it, because it really makes my blogging life much easier. I’m using it, because you can schedule and customize your posts individually for each network and then send them automatically to all of your networks in one easy step. That’s helpful to save valuable time. Thanks for stopping by. Monarch is indeed a good plugin. Well, I haven’t used Blog2Social yet. Will surely give it a try.